This dynamically different neighborhood brings together expansive home designs and an unusually energetic lifestyle. 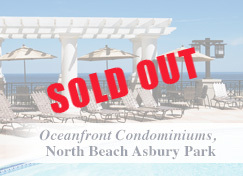 Elegantly designed and Mediterranean-inspired, North Beach Asbury Park satisfies the most discerning buyer. The scenic woodlands of western Monmouth County provide a graceful backdrop to this community of stately single‑family homes. Whispering Grove offers new Ocean County, NJ homes for sale, boasting estate-style designs, an ideal location and a picturesque lake as its centerpiece. 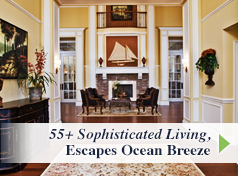 Set on sprawling homesites distinguished by mature trees and a lush natural environment, Whispering Meadows offers some of Ocean County’s most spectacular new homes. At Paramount Homes, the pursuit of excellence is a tradition. Over the past 15 years we have gained valuable new home building experience and learned that excellence means much more than just quality construction. Truly excellent communities start in the planning stage, after we select properties that offer value, convenience and inherent beauty. We build on these qualities by creating neighborhoods that preserve and enhance their natural surroundings while providing a nurturing environment where families of all ages and sizes can grow and prosper. The process of building excellent communities continues with a deep appreciation of how people live in their homes. We believe that “Better Design is Paramount,” and we design extraordinary homes that reflect your personality and enrich your lifestyle. Our homes combine formal and casual elements, intuitive features and inspired amenities-all coming together to perfectly serve your needs. 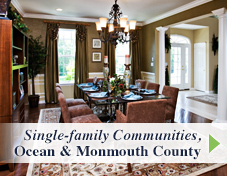 All of our popular Monmouth and Ocean county communities are designed with unmatched attention to detail. Whether you choose a stately single-family home in Jackson or Upper Freehold Township; or a new home in our exciting active adult lifestyle community in Manahawkin, one thing is certain. We will strive to achieve excellence in every aspect of your home buying experience!